Koratala Siva hasn't announced his next project post 'Bharat Ane Nenu'. 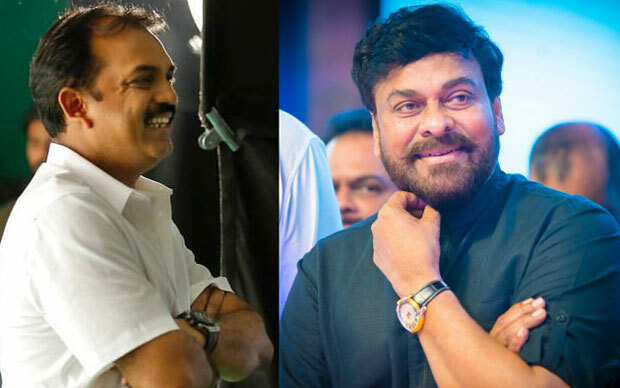 However, The press note released by Konidala Productions few months ago has confirmed that Koratala's Next would be #Chiru152. Recently, Speculations began doing rounds that Koratala Siva has kept the project with Chiranjeevi on hold. It's been rumoured that the Ace Filmmaker would be teaming up with Mahesh Babu once again. None of these unofficial reports are true. Close sources to Mega Fans say, Script Work of Chiranjeevi-Koratala Siva Film is happening at present. Formal Launch could happen in January 2019. Regular Shoot would begin once after 'Sye Raa' shoot comes to an end. This crazy project could be releasing either for Summer 2020. Ram Charan will bankroll #Chiru152 on his home banner. Budget of this venture will be anywhere close to Rs 125 crore-mark. Charan holds the record of only one to produce 3 films of Megastar in a row.